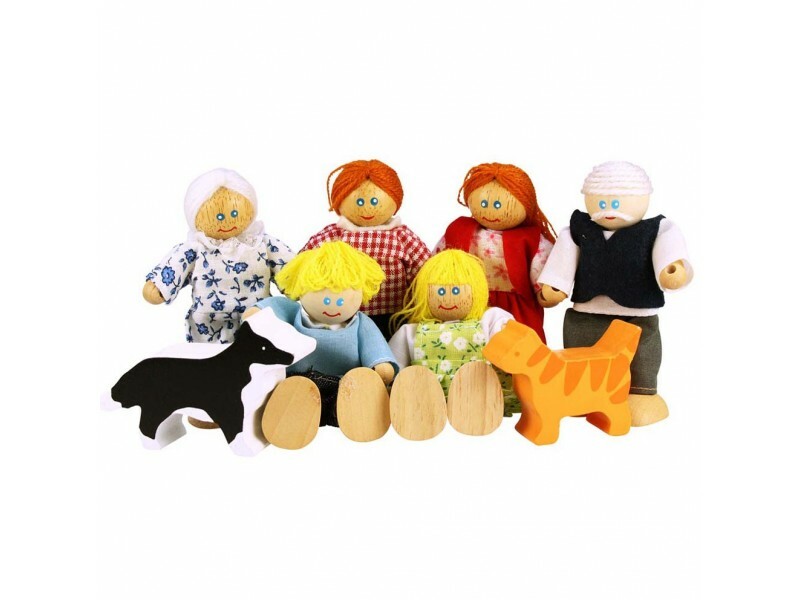 The brilliant BigJigs Doll Family offers excellent value for money for anyone who needs new tenants to fill their dolls’ house. 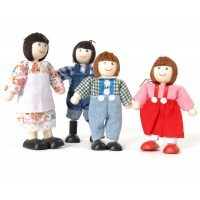 This wooden doll family is smartly dressed and always smiling. 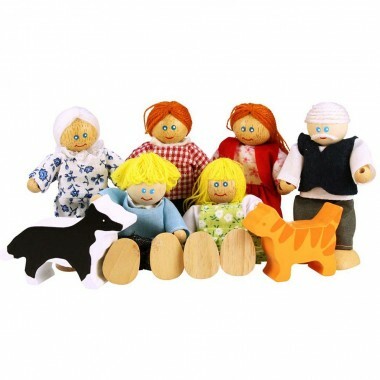 The family comprises Mummy, Daddy, daughter, son and grandparents. There are even two friendly pets (dog and cat) to give this family a real homely field. 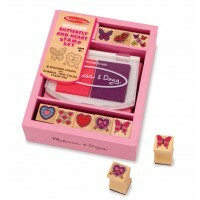 This is a lovely set of dolls which will add extra level of fun to imaginative dolls’ house play. 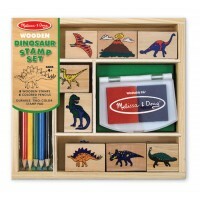 Lovely little wooden family, a big hit with my young grandson. Lovely , well made dolls. Perfect ! Lovely chunky, sturdy dolls for a first dolls house for my Grandaughter who has additional needs and struggles to grip small things. Looks like a good product. I'm sure my daughter is going to love playing with it.